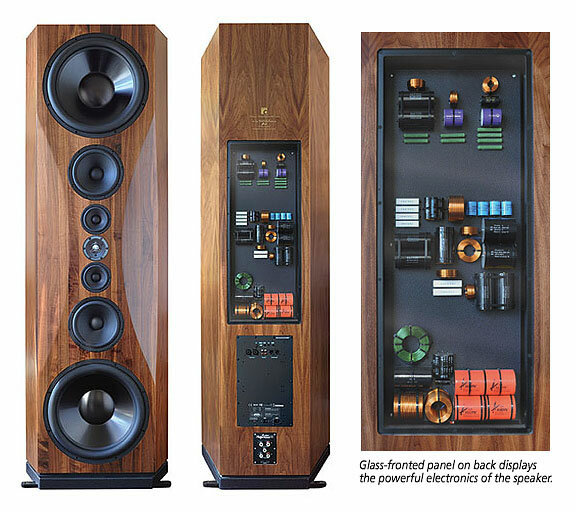 When Peter Noerbaek first envisioned the seven-foot, quarter-ton speaker he would name the “Master Reference” he knew he was reaching far beyond the safety zone of standard home electronic fare. 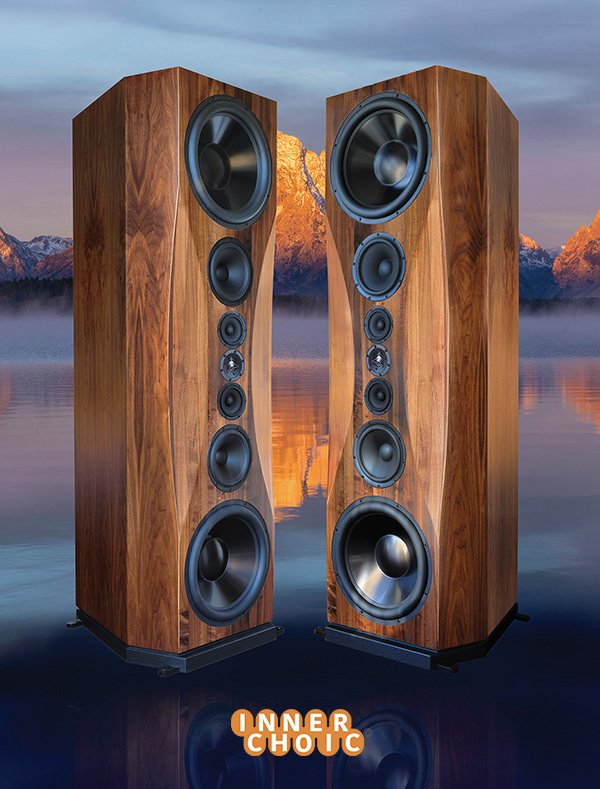 But the success of the first- generation Master Reference, and the amazing reception it received, have spurred him on year after year to push the envelope of audiophile excellence. The third edition of this legendary speaker has again reset the bar for excellence. Now featuring the stunningly life-like soundscape possible only with the proprietary Innerchoic® interior cabinet construction, the Master Reference III balances vivid, startling power with delicately nuanced detail, unleashing majestic orchestral salvos while gently caressing the most subtle passages. Its twin 18” auditorium-grade subwoofers effortlessly deliver deeply-felt low-end bass, while the two 10” mid-woofers provide flawlessly textured mid-bass “crunch”. The full driver complement includes the world’s finest pair of mid-range drivers and an exemplary tweeter. In sum: its suite of seven audiophile-quality speakers are so precisely harmonized that the resulting aural presence is perhaps the most palpably real yet achieved. If you desire dimension, presence and “truthfulness” on a scale capable of filling a listening hall, you have now found it. Each Master Reference speaker includes 2×1200 watt DSP-based built-in amplifiers designed to work seamlessly with the drivers. The 2.25”-thick front baffle is made of select planks of solid maple – arguably the best hardwood for audiophile cabinets. Every cabinet is handcrafted with your desired veneer and finish, or customized with piano-gloss airbrushing. Inside each speaker is a brilliantly interlocked series of chambers designed for optimal sound dynamics and immersion, while erasing distortion. In total, the Master Reference III is seven feet of uncanny engineering, custom-built circuitry and heirloom-quality cabinetry. When you audition the Master Reference, you know you are in the presence of a master.